Southwest Seal and Supply is an authorized distributor of the Parker industrial line. 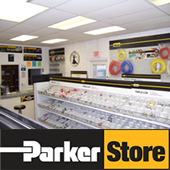 At our two convenient ParkerStore™ locations, we can repair and make new hose assemblies while you wait! We have the knowledge, expertise and products to get you back to work quickly.